As for climate change, (Global warming?) 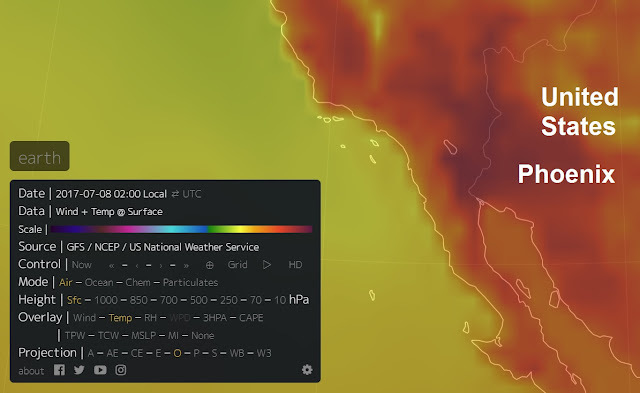 For me, reporting heatwaves around the world for the last five years, 2017 has seen a huge spike in recorded heatwaves, with Arizona, California, the Persian Gulf and parts of Australia often hitting 122 deg F (50 deg C). I have no climate change agenda but my world (Holland) is seeing longer warmer summers with often temperatures which are hard to deal with and the winters are milder, we haven't had snow here for a few years now and the temperature rarely dip below freezing in the winter months.